We have some exciting hospitality news for you this week! We hate to say, "We told you so," but... we told you so. Data analytics is fundamental to the success of a business, big or small. In the travel industry, there is a gargantuan amount of data that is still being unused, which is why we got into the data business in the first place! In the first read, Travel Appeal highlights the competitive advantages of using data analytics to not only improve your hotel's business performance, but also enhance customer engagement. 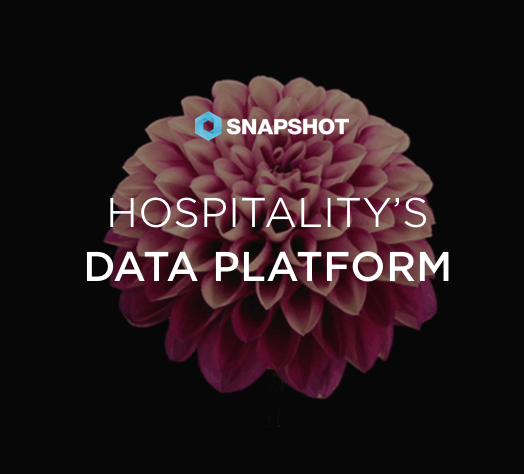 And in the world of hospitality, customer engagement is what we're after at the end of the day, so why wouldn't we want to use data to benefit both our hotels and our guests? Looking ahead into the not too distant future, hotel technology is already advancing to the next level: robotics. While robots aren't necessarily considered new technology, according to our second read, more hotels are adopting robotic technology into their daily operations. Read the second article to find out why 56% of consumers and hotel operators think robotic services will be more prevalent in hotels by 2025. Jumping back to the present, the battle continues to wage on between hotels and online travel agencies (OTAs). However, as the saying goes, "If you can't beat them, join them," which is exactly what Hyatt has done with Ctrip, the Chinese online travel services giant. Instead of fighting over online bookings, the two companies have collaborated on the launch of an online flagship store for Ctrip members to access Hyatt hotels. Read the third article to see how the companies plan to expand from the Greater China region to the rest of the world. Check out the industry reads we collected for you this week! "What time is checkout?" "Do you have a fitness center?" "Where can I find the nearest...?" The list of questions is endless when it comes to a guest's experience at a hotel. Luckily, hotels with chatbots can answer any and all frequently asked questions using the round-the-clock technology with very little manpower required. However, it shouldn't just stop there. Did you know that you can enable your chatbot technology to generate actual revenue? Instead of simply answering questions, our first read shows hoteliers how to take advantage of chatbot systems to better understand their guests and sell more services to them. It's a well known fact that millennials are a huge market for the hospitality industry. However, it's not as easy to capture this segment by using run-of-the-mill marketing tactics. As millennials have grown up with the Internet, it's crucial to identify the characteristics that set them apart from other generations in order to meet their technological standards. Hotelogix, a SnapShot partner, breaks down the steps to catering to millennials in five ways in our second read. Speaking of millennials, our final read shows how the power of millennials has affected the travel industry through social media. Since 2013, Instagram usage has grown by 375% in relation to travel. If you're not already on Instagram, perhaps you should consider it given the social media platform's newest update that allows businesses to add action buttons for users to reserve, book, or purchase items without exiting the app. If we haven't been able to convince you of the power of technology in the hospitality industry, perhaps that statistic alone will change your mind!